Question of the Week: Where Will You Go if America Collapses? A reader from New York has a follow-up question for me. Referencing a “Question of the Week” from last month, in which I expressed guarded optimism that America could be saved, she wants to know what I would do if things go the wrong way. In other words, what if things go really wrong and America suffers a Greek-style fiscal collapse? 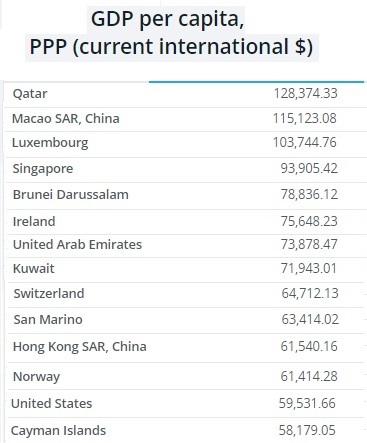 And imagine how bad that might be since there wouldn’t be an IMF or European Central Bank capable of providing bailouts to the United States. But I probably would want my children someplace safe and stable, so I’ll answer the question from that perspective. 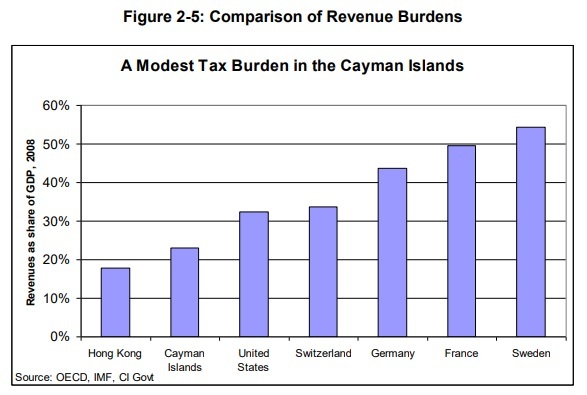 The obvious first choice is a zero-income tax jurisdiction like the Cayman Islands that is prosperous and reasonably well governed. 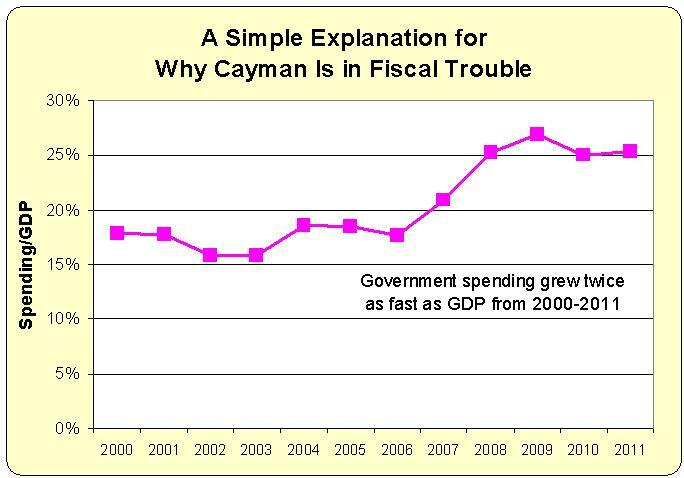 But I’m not sure about the long-run outlook for the Cayman Islands, in part because the politicians there have flirted with an income tax and in part because the jurisdiction inevitably would suffer if the United States was falling apart. So what’s a place that is stable and not overly tied to the American economy. Then the obvious choice is Switzerland. That nation’s long-run fiscal outlook is relatively favorable because of modest-sized government and a very good spending control mechanism. But while Switzerland is not dependent on the U.S. economy, it is surrounded by European welfare states. And I’m fairly certain that nations such as France, Italy, and (perhaps) Germany will collapse before America. 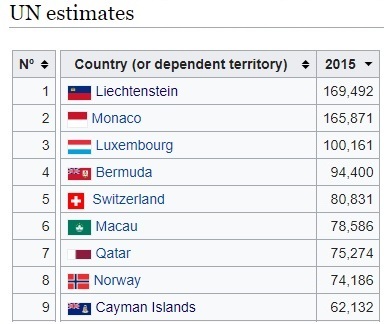 And even though most Swiss households have machine guns and the nation presumably can defend itself from barbarian hordes in search of a new welfare check, Switzerland’s probably not the ideal location. Estonia is one of my favorite countries, and they’ve implemented some good reforms such as the flat tax. But I worry about demographic decline. Plus, I’m a weather wimp and it’s too chilly most of the year. Another option is a stable nation in Latin America, perhaps Chile, Panama, or Costa Rica. I haven’t been to Chile, but I’m very impressed by the nation’s incredible progress in recent decades. I have been to Panama many times and it is one of my favorite nations. I’ve only been to Costa Rica two times, but it also seems like a nice country. The bad news is that I don’t speak Spanish (and my kids don’t speak the language, either). The good news is that Hispanics appear to be the world’s happiest people, so that should count for something. This brings me to Australia, the country that probably would be at the top of my list. 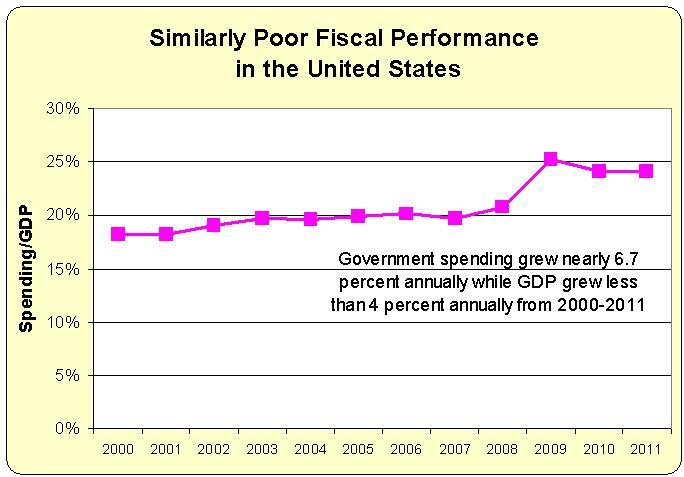 The burden of government spending in Australia is less than it is in the United States. But the gap isn’t that large. 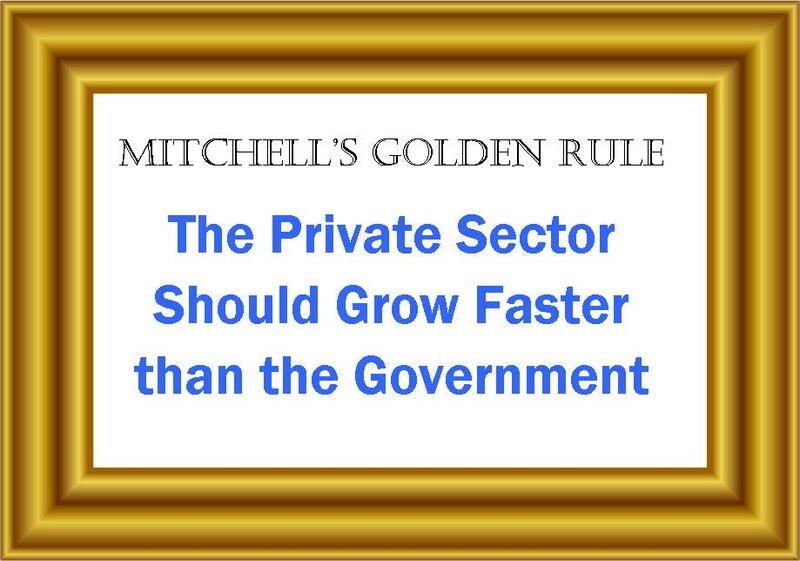 The reason I like Australia is that the nation has a privatized Social Security system (called Superannuation) and the long-run fiscal outlook is much, much better than the United States. Plus the Aussies are genuinely friendly and they speak an entertaining form of English. 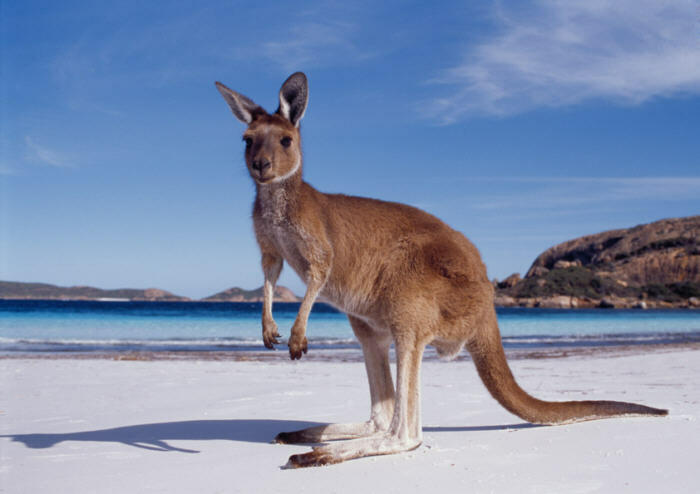 So if America goes under, I recommend going Down Under. If misery loves company, we can be very happy with these two stories about over-compensated bureaucrats from outside our borders. The first comes from Europe, where the Daily Telegraph reports that pension costs are skyrocketing for bureaucrats with the European Commission and other European Union entities. With the average pension being more than $88,000 per year, that’s hardly a surprise. This adds injury to injury since EU bureaucrats already get paid much more than workers in the productive sector of the economy. Internal estimates, seen by The Daily Telegraph, show huge cost increases as growing numbers of officials in an expanded EU qualify for retirement, often at a younger age than the taxpayers who fund their generous pensions. Over the next three years alone, the cost of EU civil service pensions is expected to rise by 16 per cent to an annual bill for taxpayers of £1.3 billion. … EU officials are allowed to retire at the age of 63, younger than Britons who have just had their retirement age increased from 65 to 66 by 2016. …According to unpublished Commission figures, the pension bill will by 2040 risen 97 per cent to over £2 billion, with a British contribution of over £350 million. …The average annual pension pocketed by the 17,471 retired eurocrats benefiting from the scheme is £57,194, while the highest ranking officials can pocket pensions of over £102,000. Our second story comes from the Cayman Islands, where bureaucrats (as well as some politicians) have figured out the double-dipping scam, getting a lucrative pension while still receiving a salary. 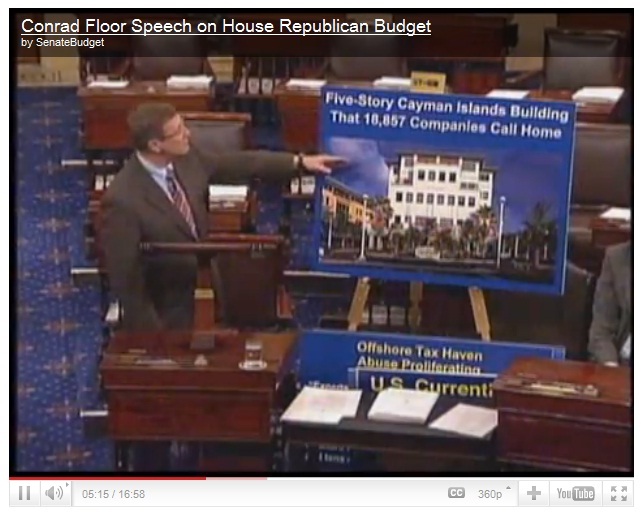 But the Cayman Islands at least deserve credit for limiting the damage. All bureaucrats hired after 1999 participate in a mandatory savings system, thus limiting the long-run risk for taxpayers. A significant number of employees in the Cayman Islands Civil Service receive a monthly pension as well as a salary, according to records obtained by the Caymanian Compass. There are 65 people who have retired from the civil service under the defined benefit pension programme – which means they are receiving a monthly pension while continuing to work in government, according to information from a Freedom of Information request made by the Compass. Those workers are typically employed on a fixed-term contract and, therefore, also receive a salary. 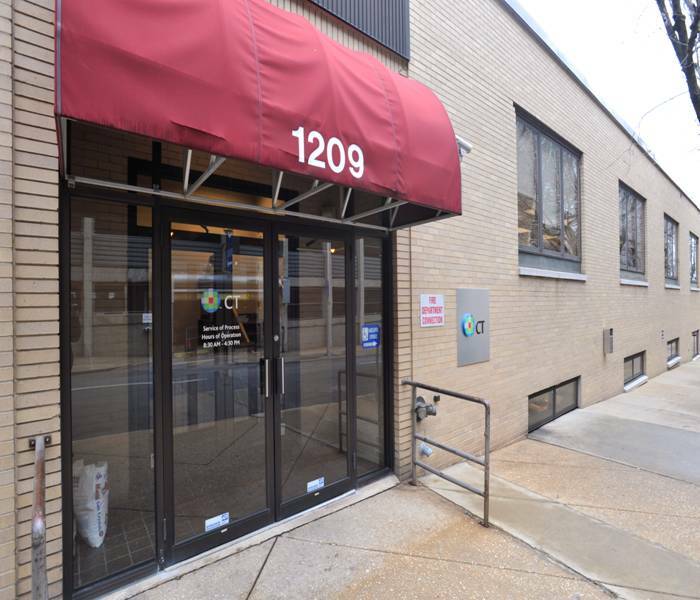 …There were 171 employees working in the civil service who were age 60 or over at the date the Compass made its open records request. The ability of civil servants and Cayman Islands legislators to ‘double dip’ is not to the liking of at least one lawmaker, who raised the issue in the Legislative Assembly in June. North Side MLA Ezzard Miller told the assembly that a change in the parliamentary pensions law in recent years has allowed elected officials to receive the same benefit as civil servants – to retire while continuing to serve in the assembly. In essence, Mr. Miller said, those lawmakers can “get a double dip” – continue to receive their salaries while earning a pension at the same time. …Cayman Islands civil servants who joined the service after mid-April 1999 no longer receive defined benefit pension payments. In other words, the newer civil service employees will receive a lump sum payment from their pension funds rather than a monthly pension.